I love subscription boxes. I mean…I REALLY do. Each month I receive boxes from Hatchery, From Thai With Love and PopSugar Must Have. I would surely subscribe to every single one that ever existed if I won the lottery but at this point in time, these three are the ones I look forward to most! PopSugar Must Have boxes are specially curated to provide you the latest and greatest in fashion, food, health, home and beauty. The products are full-sized and are delivered straight to your door each month for just $39.95 which, when you break down the contents each month is a STEAL. I’ve been a subscriber for over 2 years and each box has always contained well over $100 worth of product. Think if it as a grab bag..you know, those dumb things with worthless crap you loved so much as a kid only this time there is actually great stuff inside that you will use! 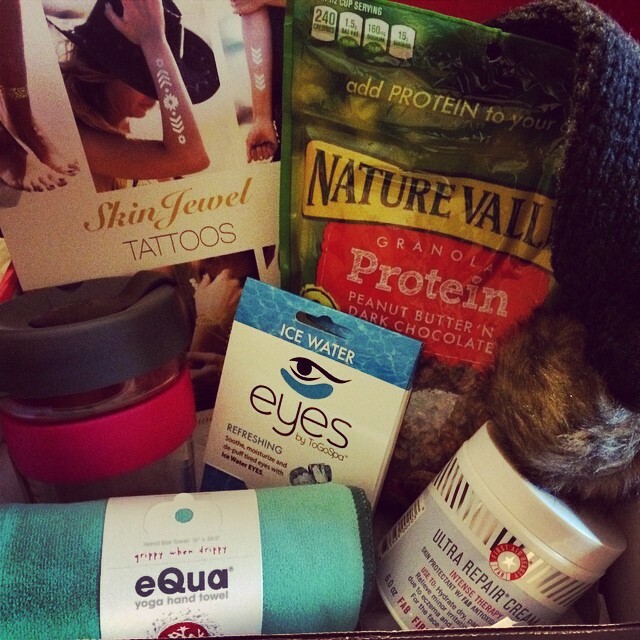 2015 is sure to be a great year with the January box being AMAZING!! The contents really include something for everyone and if you aren’t a fan of something, you’ve got a great gift on your hands for the next time its a friends birthday and you forgot to run out and grab a present! That’s over $130 in product, folks! I can’t wait to throw on that hat and guzzle down hot coffee out of my new cup while snacking on some protein granola. Well, that is after rubbing myself down with the repair cream and de-puffing the bags under my eyes with the ice water eyes! I think I’ll save my jewel tattoos for my upcoming trip to Miami!